These disturbing images show a fox that was brutally mauled to death by hunters, according to saboteurs. Yesterday afternoon 20 members of the Guildford Hunt Saboteurs group descended on woodland near Ewhurst in Surrey having been tipped off about a potential fox hunt. After hounds were pulled away from one fox by the saboteurs, the protesters and riders from Surrey Union Hunt came face to face in the village of Peaslake. There a pack of 30 to 40 dogs charged through people’s gardens, chased a herd of deer and mauled a fox to death, the saboteurs claim. Colin Skilton, spokesperson for the Guildford Hunt Saboteurs, said: “In Peaslake the dogs went absolutely mad. They were everywhere. “They went through people’s back gardens in full cry. “There were 30 or 40 dogs all over the place as the huntsmen stood in the middle of the village. A video taken on the day shows a disemboweled fox lying in a woodland clearing. Hunt saboteurs are shown kneeling around the animal with one woman in tears. The group covered the fox and later buried it in woodland nearby, performing a short ceremony in its honour. Mr Skilton, 56, from Redhill, Surrey, said: “Fox hunting is banned and they shouldn’t be doing it. “We are opposed to anybody killing an animal for their pleasure. A spokesperson for the hunt said the group operated within the confines of the Hunting Act 2004. They added: “Hunts throughout the country are regularly subjected to spurious allegations, as we believe to be the case on this occasion. Although fox hunting was made illegal in the UK 14 years ago it is still widely practiced. Since the ban some groups have started trail hunting whereby dogs follow the artificially laid scent of a fox. Saboteurs argue that this is a front for actual hunting. However, riders claim their dogs latch onto and kill foxes despite receiving no encouragement from hunters. Incidents involving hunters and saboteurs are relatively common in rural parts of the country. 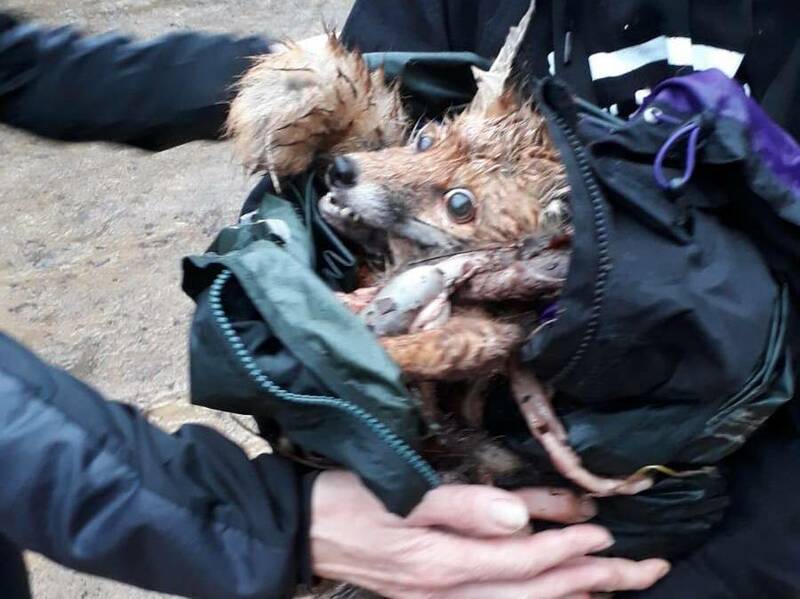 A spokesman for Surrey Police said: “On Saturday December 1 we received an allegation that a fox was killed during a hunt at Ewhurst (near Cranleigh) in Surrey. “We have contacted the individual who reported this and are looking into the circumstances.